Home / Manic Mondays! • Pretty In Pinky / Manic Monday! 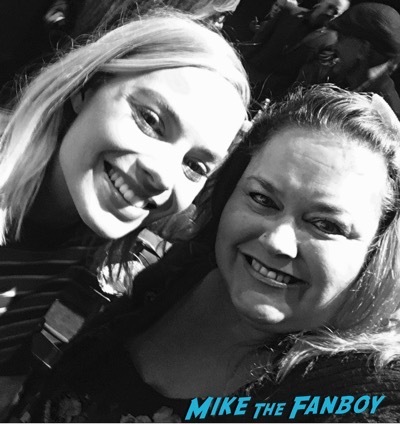 Pinky Says, “Hi, Puddin'” After Meeting Margot Robbie! I,Tonya Goodness! I have to tell you, I loved I,Tonya and I’m so happy that the film is getting recognition for awards season. It’s a hilarious look at the Tonya Harding scandal and Margot Robbie is amazing in it. Pinky headed out on the town to a q and a of the film and was able to get a quick photo with Margot. Check out her recap below! Hello, my lovelies. 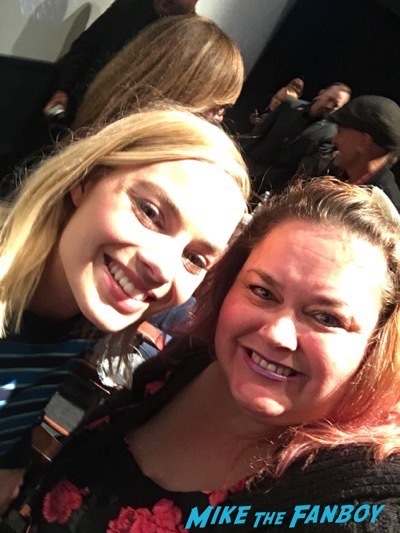 Pinky Lovejoy-Coogan here with a huge thank you for Santa Claus for making my Christmas wish come true – a picture with Margot Robbie! I’ve been wanting to meet her for the longest time and I finally had the chance. Hooray! I’d heard that she was doing a public Q&A (a lot of them, actually) for I,Tonya, but by the time I’d heard about it, all the screenings were sold out. Determined to get in, I kept checking the theater’s website to see if any spots might open up. Of course, this seemed silly, since the theater had reserved seating and the only way I’d even have a chance at getting a picture with her would be if I had the middle seat in the front row. All the cards seemed stacked against me, but then by sheer luck (or was it a Christmas miracle? ), when I checked the ticket site a few hours before the first screening, there was a front row ticket in the middle seat available. I couldn’t believe it! I still don’t know how that happened, but I’m so glad it did, because I ended up sitting right between where Margot and Allison Janney were sitting for the Q&A. Once it was over, I quickly stood up and somehow got to Margot before her security could get to her. I asked if we could get a picture and she said, “Of course!” and was super sweet about doing the picture. After it was done, the security guard took her out of the theater and that was that. Had I not been in that exact seat, I never would have had a shot. Again, thanks, Santa! Manic Monday! Pinky Is a Desperado After Meeting Antonio Banderas! Emmy Night Goodness! Manic Monday! 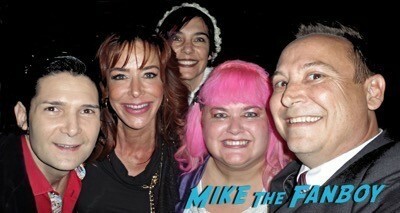 Pinky Goes Back To The Future After Meeting The First Jennifer Ms. Claudia Wells! Manic Monday! The First Celebrity I Ever Met In Los Angeles! Keanu Reeves! AKA Ted “Theodore” Logan! My 10 Year Anniversary! Manic… Tues? Pinky Heads To Palm Springs Comic Con And Grabs Her Silver Bullets After Meeting David Naughton! American Werewolf Goodness!